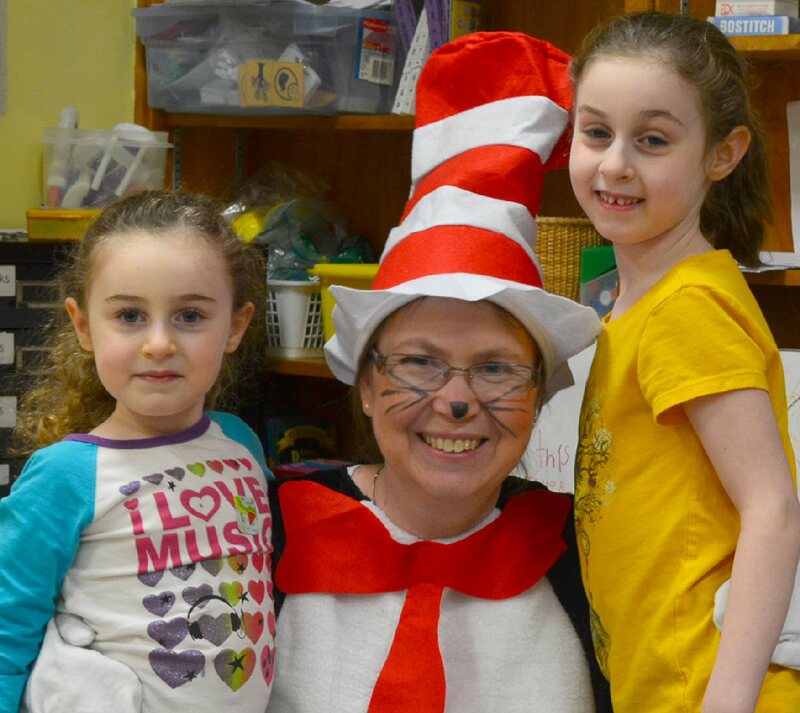 OSWEGO, NY – Elementary students in the Oswego City School District celebrated Dr. Seuss’s Birthday and Read Across America Day recently with a variety of interactive events and readings. 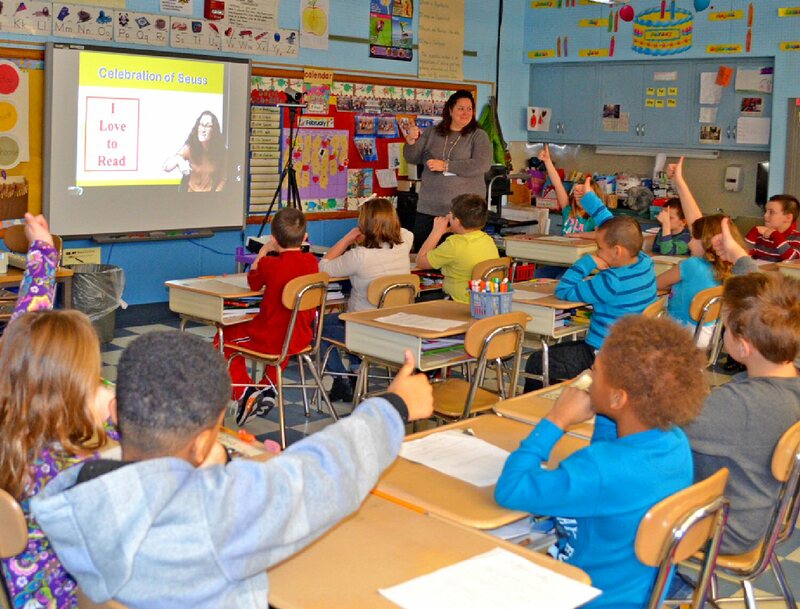 Second grade students in Holly Babcock’s classroom at Riley Elementary School give the thumbs up to reading during an interactive lesson entitled “A Celebration of Seuss.” The distance learning event celebrated the birthday of the beloved children’s author Dr. Seuss. The National Education Association’s Read Across America Day is a nationwide reading celebration that takes place annually on March 2 – on Dr. Seuss’s birthday. Students across the country, as well as those within the Oswego City School District participated in various activities to celebrate reading. At Riley Elementary School in Oswego, students in Holly Babcock’s second grade classroom enjoyed an interactive lesson “A Celebration of Seuss” offered by the Muskingum Valley Education Service Center in Ohio. Students were able to work on a variety of group activities – including bead craft, learn “Seuss” signs, and demonstrate knowledge of the Dr. Seuss characters in an interactive environment. The distance learning and video conferencing with Muskingum Valley Education Services Center was coordinated in partnership with the Center for Instruction, Technology and Innovation. At Leighton Elementary School, student council members guest read a variety of Dr. Seuss classic books to younger classrooms. A “Dr. Seuss Night” was held at the school where students enjoyed pizza, crafts, read alouds, door prizes and games. 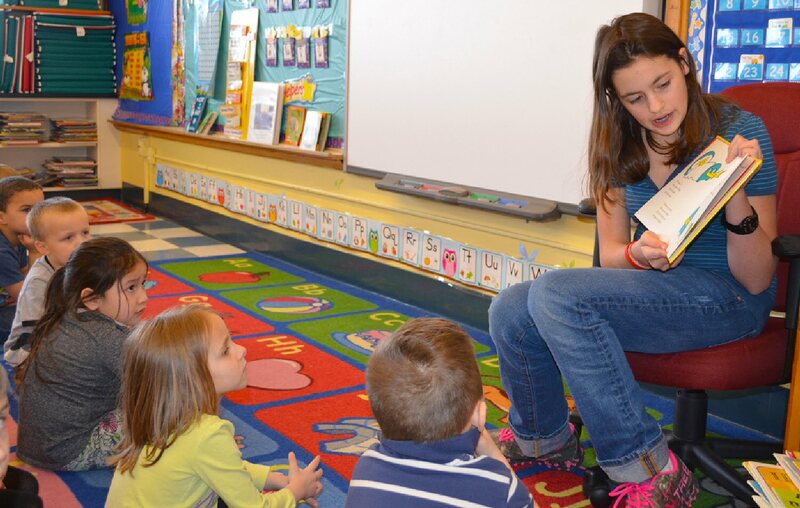 Ella Shambo, a sixth grade Leighton Elementary School student and student council member reads a Dr. Seuss book to Heather Wood’s Pre-K classroom during Read Across America Day. According to Leighton Elementary School literacy specialist Amy Armet, “Dr. Seuss Night” was also highlighted by the popular photo booth, and a visit from the Cat in the Hat. Nearly 140 students and adults attended “Dr. Seuss Night” this year, according to Leighton School Librarian Deb McHugh, who coordinates the annual event.